It's all there! 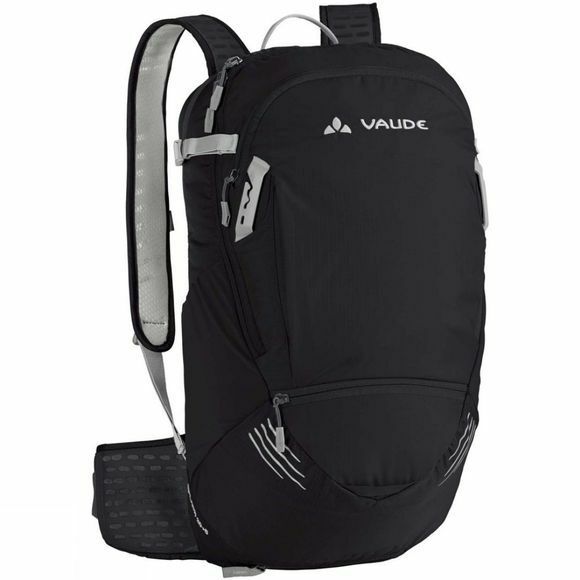 The Hyper 14+3 Rucksack from VauDe offers a full line-up of features and is made with eco-friendly bluesign certified primary material, so you have everything you need for a day tour or short trip. Count on a perfect fit and reliable ventilation with F.L.A.S.H. shoulder strap adjustment, Aeroflex mesh back and ergonomic, air-permeable hipbelt. 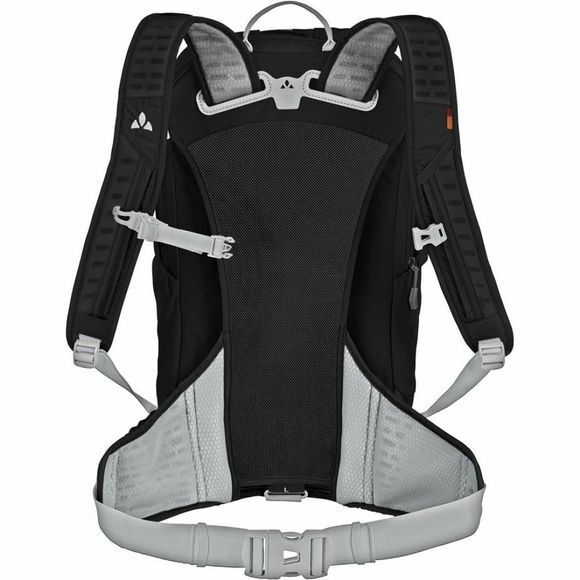 If necessary, the pack's carrying capacity can be expanded via zip from 14 to 17 liters.